Produced as a stopgap measure for Cinerama theaters awaiting the arrival of MGM’s The Wonderful World of the Brothers Grimm and How the West Was Won, The Best of Cinerama compiles memorable moments from the five produced Cinerama travelogues allowing audiences to catch up on incredible images from previous films they may have missed or to experience thrilling visuals from favorite Cinerama films once again. Produced as a stopgap measure for Cinerama theaters awaiting the arrival of MGM’s The Wonderful World of the Brothers Grimm and How the West Was Won, The Best of Cinerama compiles memorable moments from the five produced Cinerama travelogues allowing audiences to catch up on incredible images from previous films they may have missed or experience thrilling visuals from favorite Cinerama films once again. It’s clearly a rush job on the producers’ part: there is little rhyme or reason to the slotting of various clips in this roadshow extravaganza with Intermission, but there is no denying the splendid visuals and breathtaking sound present here that afforded audiences of the era an easy way to spend a couple of hours being transported to picturesque spots around the globe while a spectacular sea of sight and sound exploded all around them. The excerpts have been chosen from This Is Cinerama, Cinerama Holiday, Seven Wonders of the World, Search for Paradise, and South Seas Adventure. Fans, however, will likely be disappointed that individual clips from the films have themselves been edited: we don’t get that entire roller coaster experience from This Is Cinerama to start things off (in fact, we start in mid-journey losing the most thrilling deep dives from early in the ride), but fans of point of view thrill rides in these films won’t feel ignored as we get not only the coaster but also clips from the bobsled ride, downhill skiing, and, saving the best for the last clip in the movie’s first act: the runaway train in Darjeeling. But expect a case of whiplash as the producer and film editor jerk us abruptly from Vienna to Naples to Venice (the Naples clip is literally seconds long) in a helter-skelter fashion in the first act and a similar too-rapid jaunt from Rio (again, seconds long) to New York to Washington, D.C. with hardly a breath in between. Yes, we get to visit every continent on the planet apart from Antarctica, but South America gets short shrift to be sure, and Japan’s beauty also gets the short end of the stick. Music and dance play major roles in the film. Our only stop in Vienna is with the Vienna Boys Choir and we get the lengthy triumphant processional music and dance sequence from Aida at La Scala. Later we get to enjoy an extended jazz jam in New Orleans and several verses of “America the Beautiful” as we tour facets of our great land, Tahiti hula dancers (which we are reminded are very different and more rapid and nuanced than Hawaiian hula artists), and a Watusi dance ritual that is one of the more special moments from the film’s second half. The film winds up with an extended tour of the Holy Land as Bible references to people and places are recounted as the Cinerama cameras take us over the famous mountains, seas, villages, and plains mentioned in the Good Book, all clips narrated by the voice of Cinerama Lowell Thomas (though he was not the narrator of every Cinerama effort, previous commentary has been rerecorded by him for this film). 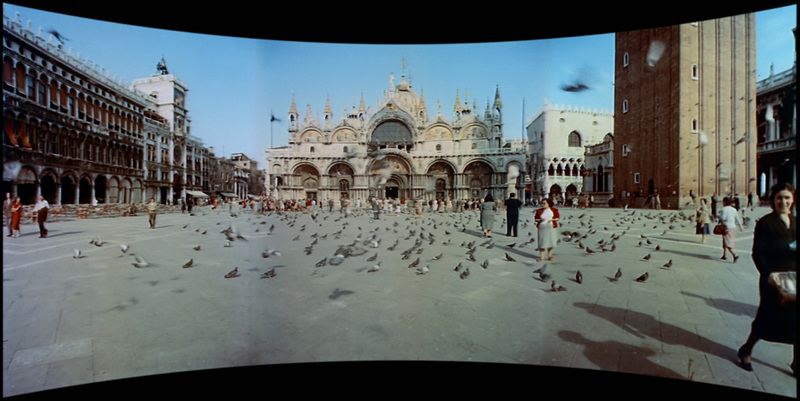 The film is presented in the Smilebox format to better simulate the feel of the wide, curved Cinerama screen in Cinerama equipped theaters of the 1950s and 1960s. David Strohmaier and his team have brought these films back from the brink of extinction with color that has been revived and the seam joints made much less noticeable (though it would be near impossible to completely erase the joins, even with a greatly expanded budget and today’s best digital tools). While color is generally balanced between the three panels, you will occasionally notice a slight discrepancy in matching hues, and there is every so often some slight wobble between the middle panel and its neighbors, but nothing that is ever very serious or that lasts for very long. Sharpness is excellent, and the clips from This Is Cinerama have undergone additional refreshing and remastering from the previous Blu-ray release looking sharper and brighter than ever before. Scratches and dirt have been completely eliminated for a clean, crisp look. The movie has been divided into 17 chapters. The DTS-HD Master Audio 5.1 sound mix is really stupendous. You’ll especially notice the breathtaking separation of orchestral instruments during the Aida sequence offering as rich a stereo surround experience of that music as you’re likely to hear. Throughout, there are numerous pans across and through the soundstage as objects and people whoosh by on skis, in boats, on trains, or in bobsleds. Lowell Thomas’ narration is clearly heard in the center channel. Overture, Intermission, and End Title music is also present. Audio Commentary: Cinerama expert David Coles provides a fact-laden commentary track recounting just about everything you might want to know about all of the Cinerama productions, not just this one. Shellarama (15:14, HD): a 1965 short subject produced by Shell Oil showing the route that oil takes from its crude unrefined state in the ground to the end products enjoyed by all. Bridge to Space (28:06, HD): a 1968 documentary short focusing on the launch of the Saturn rocket to the moon from (then) Cape Kennedy. Actor Jim Davis’ voice serves as a tour guide to the Cape and Merritt Island. The Rangerettes (2:20, HD): a 1955 clip deleted from Seven Wonders of the World featuring the dancing cheerleaders from Kilgore College. Battleship Iowa Arrives in San Pedro (3:16, HD): a brief news bit filmed in Cinerama in 2012. 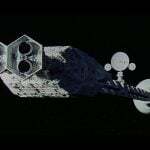 Reconstructing The Best of Cinerama (15:12, HD): producer Dave Strohmaier discusses in some detail the challenges faced with reconstructing and remastering The Best of Cinerama with plenty of before and after clips. Cinerama Troika (11:50, HD): a montage of interviews with three primary individuals who have worked diligently in saving the Cinerama titles for future generations: David Strohmaier, Tom H. March, and Randy Gitsch. Remembering The Best of Cinerama (22:00, HD): Harrison Engle interviews Norman Karlin, chief film editor on the Cinerama features who recounts his experiences during his basically decade-long employment with the company. Slideshows (HD): three slideshows offer great background on the people and places involved with the Cinerama experience: “Who’s Who in Cinerama History” (20:52), “Show Places of the 1950s” (39:56), “Filming with the Crews” (6:23). Program Booklet: a twenty-four page reproduction of the souvenir booklet for The Best of Cinerama. The Best of Cinerama will certainly be of interest for those people who like or are interested in Cinerama but haven’t been buying the individual Cinerama releases right along. 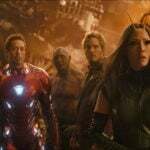 While clips are edited from their original lengths and are somewhat haphazardly arranged for the feature presentation, there is no denying the breathtaking sights and sounds that this movie offers. Recommended! OK Warners where are those Grimm Brothers in Cinerama? Long overdue in Blu Ray Smilebox. I could not agree more. I would never have believed it would be the last of the Cinerama movies to get any kind of attention. And, supposedly, its needs are far too expensive to even be considered. Now I’ll have to try one of these “smilebox” features on my curved Samsung 4K to get the Cinerama experience! I saw this last year at Bradford on the Cinerama screen and it looked excellent and this set also includes Shellarama aka Push Button Go which is a fantastic short. Indeed Derek. Can't wait for mine to get down under! Received my shipping notice this morning. I can hardly wait. I almost shipped my disc back as defective, because Act Two of the film repeated the first two scenes from Act One. Only by looking at the facsimile of the program contained in the case did I realize that the actual movie was also like that. I wonder how many moviegoers stormed up the aisle in 1963 to complain that the projectionist had put on the wrong reel (or wrong three reels — this IS Cinerama, after all). 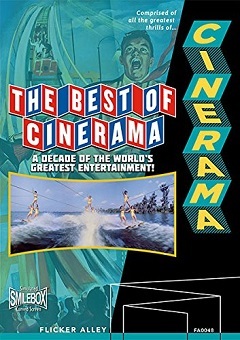 Also, this has been stated on other threads, but seeing the roller coaster sequence from THIS IS CINERAMA as well as the included restoration documentary in this new release makes me wish for a new Blu-Ray edition of THIS IS CINERAMA, using the new restoration from the original camera negative. The differences in quality are stunning, especially in my home theatre in Murphyrama. Sold. I've wanted to see some of the Cinerama travelogues for a while, but hadn't gotten around to it. Ordered this and Russian Adventure from Flicker Alley directly. 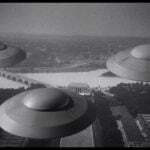 A rather good compilation of the first 5 Cinerama travelogues. I managed to see it when it was first released. Lots of very rare and interesting extras on the blu-ray disc. Seeing the film on disc will never replicate the experience of seeing it in a cinema on the giant curved 3 strip Cinerama screen .It does however bring back many memories from more than 50 years ago.SHELLARAMA was screened in Cinerama where I worked. Just avoid listening to the commentary on the bluray disc for THE BEST OF CINERAMA. A more professional person would have made it easier to listen to .Some people just don't have the voice for being a narrator, no matter how interesting their views are. It was the same for RUSSSIAN ADVENTURE'S very annoying narration by Bing Crosby. Whatever could they have been thinking of by using him.? I got this yesterday in London it looks excellent and the Shellarama short looks and sounds excellent as well, plus it has the tabs opening and closing at the end just like I remember a showing at the Odeon Marble Arch. Thanks again David for all your hard work. Thank you for the excellent review. 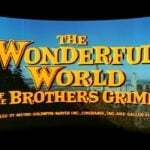 I really wish Flicker Alley or some other outfit would finally bring out a DVD/Blu-ray release of The Wonderful World of the Brothers Grimm. That would be a dream come true. It's just terrible that it's the last of the true Cinerama films not on Blu-ray (and with no sign of it ever coming to Blu either). It would be really good to have TWWOTBG come out. The Review over at Blu Ray.com does not even mention about the new scan of This is Cinerama that was used for this, did they not notice ? The Review over at Blu Ray.com fails to mention about the new scan of This is Cinerama that was used for this, but it is in Matts excellent review here. Click on the images below to see the differences. Everything comes to those that wait.Wasn't WWOTBG released on video many moons ago? I still have fond memories of seeing it in Cinerama back in the sixties. I still have the widescreen laserdisc. I would love to Have TWWOTBG on BD or UHD. It's on TCM once in a while. I don't remember if the last showing was the roadshow version. The roadshow has more picture info on the sides, video to go with the prologue, intermission and exit music which I don't think the laser disc has. Hi Roland, I just think myself lucky to have seen this in Cinerama twice in Bradford as they have the only 3 panel print left in the world. Thanks again for your great Cinerama site. I saw it at the LA Cinerama Dome for the 60th Anniversary of Cinerama. I don't know where the print came from. It was a bit beat up in some spots but mostly OK. It was the same print I have seen but as you say was mostly ok. It originally came from Australia- now donated to the Bradford museum. Well, because of the renewed discussion in this thread I ordered this title and watched it upon delivery this afternoon. This is my first Smilebox title (outside of features such as HTWWW). I have been wanting to see what the Cinerama experience was all about. 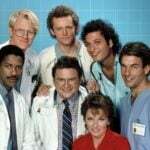 In terms of the special productions, that is. And I'll tell you right now I was pleasantly surprised. I picked this one to buy because of it's "Best of" stature and the talk here of the improved visuals over some of the other choices. I'm not REALLY old enough…but I am already familiar with Lowell Thomas' work. When I was growing up, my local PBS affiliate ran some kind of series of his Fox Movietone Newsreel work. 😉 And I was a news junkie even as a little kid! The parts I enjoyed the most were the travelogue pieces–especially those that put the cameras at ground level and we got to see locales up close. Not only do these provide an insight into places I'll never get to go…but they also serve as a time capsule as to what they looked like back in 1960. The scene of Paris on a kids' holiday of a number of school girls in two straight lines led by a nun was worth the price of the title! It immediately put me to mind of all the times I read the children's books about Madeline to my kids. You really need to get the other Cinerama Blu-rar titles. These are exceptional. Since this release gives you a taste of all the Cinerama releases up to that time, why not go with Cinerama's Russian Adventure which has no scenes included in this release. You can read my review to see what's included in that package. Also I believe Tim reviewed most of the other Cinerama releases and his reviews will also let you see what you're in for with them. …The scene of Paris on a kids' holiday of a number of school girls in two straight lines led by a nun was worth the price of the title! It immediately put me to mind of all the times I read the children's books about Madeline to my kids. I remember getting ready to practice for my first communion. The nuns had us walking in a straight line, arms folded so we wouldn't touch the other children (I guess). The children from the public school came running over yelling and screaming. One of the nuns said "look at those animals". The kid next to me said "I wish I was one of those animals". Let's hope they release a Blu-ray of the 70mm Cinerama movie The Golden Head. It only played in one Cinerama theatre in the UK. If you want to see what the Cinerama experience was all about then you have to see it in a genuine Cinerama cinema with a 146 degree deeply curved screen and projected with real film ,not digital.. You definitely cannot replicate the Cinerama experience by watching it on a television or even seeing it on a curved cinema screen in digital. The original Cinerama experience was mesmerizing .I was lucky enough to have seen all the films many times when they were first released. Absolutely NOTHING can replicate that experience. Sadly,the three remaining 3-strip Cinerama cinemas all have flaws that detract from that original experience. I understand that it also only played in one other European cinema before it was considered to be a flop and disappeared from cinema screens. The original title was MILLLIE GOES TO BUDAPEST.Surely that ,with such a great cast, it could been released in 35mm or even shown on television. Sadly that was not to be the case. Why was the film considered to be so bad that it was not released after being only shown briefly in 2 countries?.No other 70mm film ever have such a limited release. I guess we will have an idea why it flopped so badly, if it is given a bluray release. The Golden Head is reviewed on this page. "The Golden Head" was unfortunately not deemed a success. William R. Forman of Pacific Theaters, one of the producers of the movie, had decided not to release the film in the U.S., and it had consequently been hidden away in a vault for a long time." If you want to see what the Cinerama experience was all about then you have to see it in a genuine Cinerama cinema with a 146 degree deeply curved screen and projected with real film ,not digital.. You definitely cannot replicate the Cinerama experience by watching it on a television or even seeing it on a curved cinema screen in digital. I totally understand all that. I was simply referring to the Cinerama series of travelog films. I hadn't seen any in their entirety.